Before I tell you the real reason why Warren Buffett wants the rich to pay more taxes, allow me to give you a little background. I have been a businessman since I was seven years old and started my own enterprises in more than a dozen different industries over the past 59 years. In almost every case I noticed that long established companies did everything they could to keep newcomers from having easy entry into their line of business. In 1970 I decided to get into the vending business. It seemed like a good idea: in gas stations I installed vending machines dispensing candy, cigarettes, and soda; in factories I had ice cream, sandwiches, and coffee machines; in bars we had pool tables and juke boxes. But it was very difficult to get the very best locations. I approach a very busy diner that was selling hundreds of cartons of cigarettes every week. The current vending company, let's call it Jake's Vending, is paying the owner, let's call him Niko, 3 cents a pack commission or about $60 a week. I offer Niko twice as much because I developed a sophisticated inventory method that allows me to make more money than Jake and most old-line vending companies. But Niko turns me down because he cannot change vendors. Over the years, Jake made a lot of money from the diner, and one day he told Niko that instead of paying him $60 a week, Jake would simply give him $10,000 in advance all at once, and deduct it from that amount over the next few years. In this manner, Jake insured that Niko would not leave even if offered more commission because he was indebted to Jake. Whenever the "advance" reached $5,000 Jake would lend another $5,000 keeping the loan perpetually between five and ten thousand dollars. Newcomers like myself, no matter how efficient or well-run, could not compete against them unless we had hundreds of thousand of dollars. 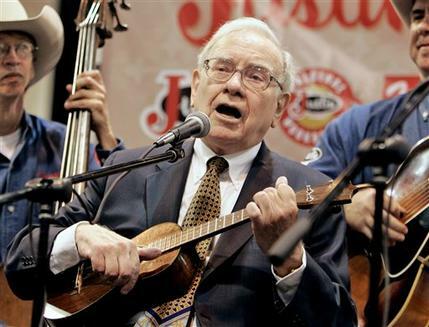 One more example and we discuss the dirty secret Buffett does not want anyone else to know. A few months ago I surveyed a small New Jersey city as a possible location for a gold-buying store. One problem: the city passed an ordinance requiring gold-buyers to hold all purchases for 30 days before disposing of the gold. Most cities in New Jersey do not have any waiting period or at most three to ten days. Why would a city council require 30 days? Let me tell you why: the two established gold-buying stores convinced the council to pass the ordinance to keep out newcomers. If a gold buyer purchases three to five thousand dollars a day and must by law hold onto it for ten days then he'll need thirty to fifty thousand dollars in working capital. Holding for 30 days will require more than a hundred thousand dollars and expose the new buyer to wildly fluctuating gold prices. However, I intend to open up in this city because I have enough money to compete against the established companies. But certainly a lot of small fry will turn away from this city. In my hometown (Bayonne, New Jersey) there are more than a dozen stores buying gold. If I were a scumbag like Warren Buffett, I would ask my city council to pass an ordinance requiring gold buyers to hold onto gold purchases for six months. That would close down almost all of my competitors. I doubt more than one or two would be able to afford to hold onto their purchases this long, other than myself. 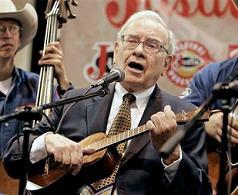 All the years Warren Buffett was making billions he said nothing about the rich paying more in taxes. Now he's singing a different tune. The extra taxes he proposes would not affect his wealth, only his new income, but it certainly would keep millions of others from their full potential and from possibly knocking him off the top 3 list of the richest men in America. If Warren Buffett were an honest, decent person, he would take his own advice and write a check for 35% of his income to the US Treasury. But Warren Buffett is a low-life, greedy, chiseling scumbag that wants new rules for everyone else after he played the game and won. This is like Babe Ruth, after hitting 714 home runs, telling the Baseball Commission that 415 feet is too short for a home run, it should be made 830 feet. Warren, if you think the rich should pay more then write the effin' check and shut up - leave us out of your self-serving opinions. I was going to use the title "Warren Buffett is an Idiot," but I used it twice before here and here.